The staff at the office were very polite and helpful. Dr. Anderson was very approachable and knowledgeable. He made surethat I was involved in the decision making process and made me feel comfortable throughout the visit. Highly recommend! The staff at the office were very polite and helpful. Dr. Anderson was very approachable and knowledgeable. He made sure that I was involved in the decision making process and mademe feel comfortable throughout the visit. Highly recommend! Dr Anderson was thorough and listened and addressed all of my concerns. I highly recommend him! The Audiologist was alsofantastic. Dr Anderson was thorough and listened and addressed all of my concerns. I highly recommend him! The Audiologist was also fantastic. He is the nicest doctor and seems like he really cares. Takes the time to listen and properly diagnose. Doesn't just throw random medications at you just to get to the next patient. Highly recommended ! Dr. Anderson was great, however my prescriptions were never called into my pharmacy. We loved Dr. Anderson, he was excellent! Recommended me to the great Dr. Kwitko who specializes in the exact condition I had! Dr. Anderson was absolutely wonderful. When I came in with my daughter he was extremely attentive. He diagnosed my daughter's issues right away and gave us plenty of suggestions. He was extremely personable. I would recommend! The doctor did a Great job. He took knew exactly what he was looking at & took good care of my Father In Law. Great bedside manner and thorough physician. Would definitely go back. Very professional and very kind. Will continue to see him as needed. Highly recommend. Dr. Anderson was awesome. Actually took a second and listened to what was going on before making recommendations. Best experience I’ve had with a doctor in a long time. Good first visit. Will have a follow up in three months and see how it goes. Very professional. Explained situation very well. Expedited additional diagnostics and treatement. I DIDN`T CARE FOR THE LONG WAIT.!!! Dr. Scott Anderson is the absolute best. He's kind, funny and truly cares about his patients. I was comfortable during the procedure, hopefully I will get the desired results!! Dr Anderson assisted in recovering 95% of hearing loss in my right ear after a diving accident caused 100% loss of hearing. His expertise and knowledge was well received. He was able to quickly diagnose the potential issues. I appreciated hissensitivity to my aliment. After a local steroid injection and oral steroid prescription, my hearing was significantly restored by the next visit 3 weeks later. I highly recommend Dr Anderson. This was my second visit to see Dr. Anderson and I find him to be professional, courteous, friendly and very informative as to what is happening with my health. I like the doctor and have chosen him as my new ENT having only been in the area for 3 months. The staff was friendly and professional, as was Dr. Anderson. He was very competent and took the time to listen and explain, and to resolve my husband's problem. Explained my situation very well and what coarse of action should be taken and we proceeded to that action right away. Dr. Anderson has a good bedside manner and answered all my questions. He is also easy to understand when he speaks. Next time for the waiting room, I'll bring my knitting to keep me busy while I wait. Dr. Anderson is very informative. 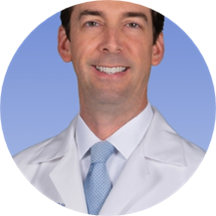 Dr. Anderson has helped both of my children with ENT surgeries. He is very efficient and was great with my boys. His beside manner led them to feel comfortable enough to talk sports with him. I would highly recommend Dr. Anderson! He was absolutely awesome. He came highly recommended and I would highly recommend him. Maureen in his office is the best ever!! She went way above and beyond. It wasn't great! Always makes me feel comfortable and explains everything very well!! Very professional and kind. Was not a long wait. He made me feel comfortable. Very happy with my experience. Appointment was quick and easy , in and out in 30 mins ! He was very curt, I never got to tell him other problems I am having because of his poor inter-action with me. He is the guy to see. He is very professional and at the same time you feel very comfortable with him. I thought he was a really cool guy, very professional and caring. Liked the professionalism and frankness of Dr. Anderson. Impressed with his bedside manner. Happy that I was referred to him. Listens to everything, very knowledgeable. I Have had the same issue for 3 years, quick surgery schedule about two weeks after being seen, and IM FIXED! Im forever grateful. Very thorough and takes his time explaining diagnosis and very professional. Very thorough, cut right to the chase, even though I thought I was seeing him for polyps in my sinuses he immediately diagnosed sleep apnea. My wife has said that I stop breathing when I sleep. I am very happy and impressed.